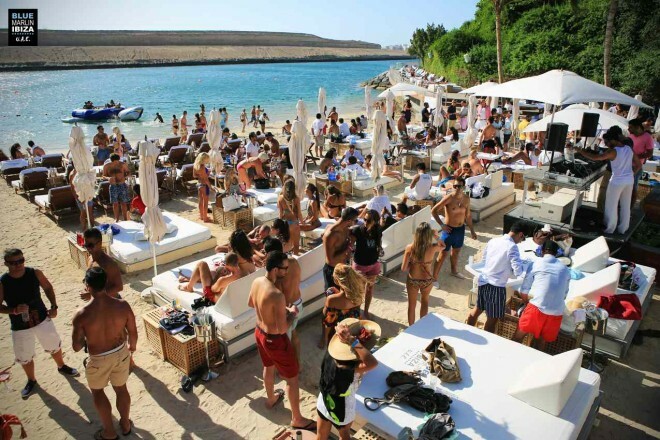 Following a tremendous start to 2019, Blue Marlin Ibiza UAE is once again proving the ultimate hotspot for electronic music across March, with an incredible month-long schedule filled with the finest talent from the house and techno scene. Kicking off the month with a huge billing, shapers of music that blends the melodic and epic, Italian production duo, Fideles will mesmerise audiences with a signature set full of hypnotic percussion and euphoric swells. NBA star turned widely acclaimed producer & DJ, Rony Seikaly, will bring his Miami-influenced beats to the UAE paradise. With releases on Erick Morillo’s label, Subliminal Records, Rony will be joined by the spiritual sounds of LUM, aka Sebastian Gandine, the Argentine selector famed for his emotional musical journeys which provoke senses of euphoria and heightened sensitivity throughout his audience. With German singer/songwriter Monolink touching down at Blue Marlin the following weekend, the Abu Dhabi crowds will be treated to the compelling thrust of electronic rhythms which have propelled the European producer into the spotlight. Merging his hypnotic guitar chords with synthetic pad sounds, Monolink will be accompanied on 8th March by VAAL. Best known as the founder of her own Baastard Records label, VAAL’s signature blend of deep melodic techno has seen the rising talent supported whole-heartedly by Tale of Us in recent times, with the producer’s pedigree even earning her a spot at last year’s Afterlife ADE party. With ravers dancing across hot white sands on the weekend of 15th March, Stephan Bodzin and Mind Against top the billing for an unforgettable experience you simply cannot miss out on! A hugely influential figure within the global techno scene for years, Stephan Bodzin has carved a reputation as both a story-telling DJ who really takes dance floors on a ride through his many musical influences but is also an impressive live specialist who creates mesmerizing, high impact soundtracks on the fly. With Italian-born, Berlin-based duo Mind Against bringing their percussive passion to the decks, the duo draw from the psychedelic hooks of 1980s soundtracks to deliver a powerful floor-filling sound that is sure to shake the core of Blue Marlin Ibiza UAE. Rounding off the month on 29th March, Canadian DJ and co-founder of Cirque du Soleil, Guy Laliberté takes to the wheels of steel, with the multi-skilled philanthropist accompanied by one of dance music’s most colourful characters; Seth Troxler. Wildy outspoken and instantly recognisable, the Ibiza-based American has garnered a reputation as one of the most important figures in the rising movement of minimal techno, bringing his encyclopedic knowledge of early Chicago house and ambient psychedelia to the people of Abu Dhabi.